We set out below the main principles involved concerning the redundancy of employees. There have been many changes to employment law and regulations in the last few years. A key area is the freedom or lack of freedom to make an individual redundant. An employee’s employment can be terminated at any time but unless the redundancy is fair an Employment Tribunal may find the employer guilty of unfair dismissal. 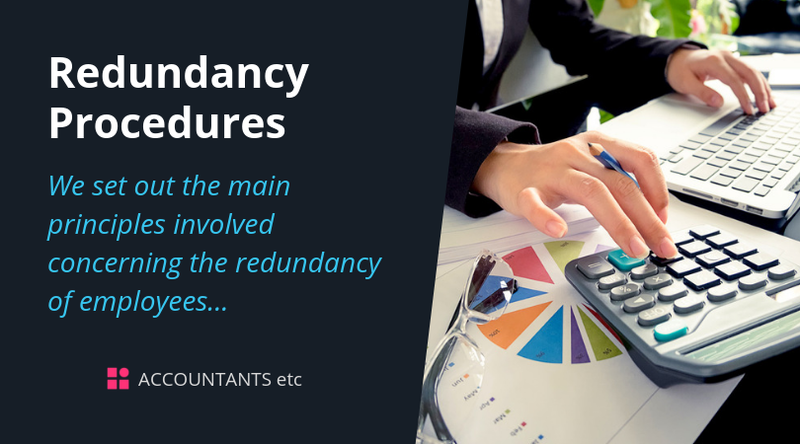 We set out below the main principles involved concerning the redundancy of employees. We have written this factsheet in an accessible and understandable way but some of the issues may be very complicated. Professional advice should be sought before any action is taken. Examples of such criteria include attendance and live disciplinary records, experience and capability. The chosen criteria should be measurable and consistently applied. Non-compulsory selection criteria include voluntary redundancy and early retirement, although it is sensible to agree management’s right to decide whether or not such an application is accepted or not. For each complete year of service over the age of 41 - one and a half weeks’ pay. A week's pay is that to which the employee is entitled under his or her terms of contract as at the date the employer gives minimum notice to the employee. The maximum statutory limit for a week's pay is £508 from 6 April 2018, and the maximum service to be taken into account is 20 years. This means that the maximum statutory payment cannot exceed 30 weeks' pay or £15,240. Employers may, of course, pay in excess of the statutory minimum.